We have become the first insurer to achieve the Pension Quality Mark (PQM) READY accreditation for our mastertrust pension scheme. 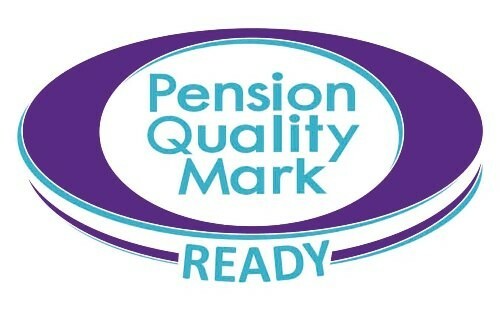 PQM READY was set up by Pension Quality Mark, the independent standard that recognises good quality defined contribution pensions. The benchmark aims to help employers spot a good multi-employer pension scheme or mastertrust. To get PQM READY accreditation, schemes need to show, amongst other things, proof that independent trustees are in a majority or have a casting vote, and that member communications are clear, regular and engaging. "I congratulate the Legal & General Worksave Mastertrust for achieving PQM READY. It is a well-governed pension scheme that supports better member outcomes through a combination of low charges, jargon free communications and independent governance. PQM READY is formal recognition of this. "Employers who choose a mastertrust with PQM READY, such as the one being offered by L&G can be confident it provides a firm base for pensions saving." "We're proud to have been awarded this important accreditation for our WorkSave Mastertrust. Legal & General is a leading pension provider and a Friend of Pension Quality Mark. We're committed to providing and promoting high quality workplace pension schemes. The PQM READY accreditation demonstrates not only the quality of the governance, and engaging member communications, but also provides assurance to our current and future employers that the scheme they choose for their employees will work in their best interest." "Participating employers can go one step further and achieve both the PQM and PQM PLUS accreditations, simply by making sufficient contributions - the trustee addresses all other aspects on their behalf." Attainment of PQM READY by the Legal & General WorkSave Mastertrust will allow employers to qualify for PQM via the PQM READY route. Employers who participate in PQM READY such as the WorkSave Mastertrust scheme and who pay the required PQM level of contributions can apply to get the PQM for their own company arrangement as the governance and communications standards are already satisfied. Total contributions must be at least 10%, with at least 6% from the employer.